Three men play Texas Hold ‘Em in a bar after hours. A stone-faced man sits at a booth and demands the early bird special after being told that the bar is closed. He returns moments later and guns down all three men. The problem is, he was only supposed to kill one of those men. Filmed in Hope, BC, (standing in for small-town Alaska) this crime drama is a tension-filled film that opens with a bang and slow burns until a somewhat predictable end. With plenty infidelity, secrets, betrayal, and nobody knowing who they can trust, director Jamie M. Dagg’s film ends up focusing on Sam, a former rodeo star (the wonderfully broody Jon Bernthal of The Walking Dead fame). At first, this switch in perspective is confusing as it seems the protagonist will be the killer, Elwood (Christopher Abbott), although he does still figure prominently as he is staying at Sam’s motel, the Sweet Virginia. A World War II rifle is placed prominently above the registration desk at the motel, and as soon as Elwood asks Sam about it, it’s clear that it will have a starring role later on. The two men develop an awkward friendship, and it’s clear that Sam isn’t ever sure he can trust Elwood. Lila (Imogen Poots) is a spot on femme fatale who hired Elwood, and Bernadette (Rosemarie DeWitt) is Sam’s vulnerable love interest. 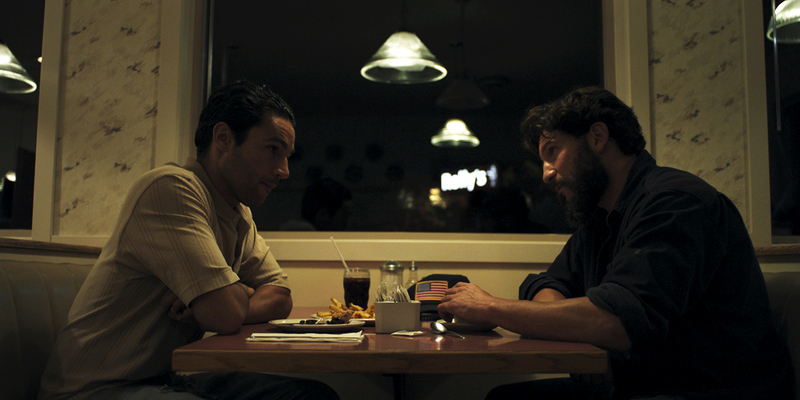 An enjoyable neo-noir, Sweet Virginia is a wonderful blend of suspense and action.